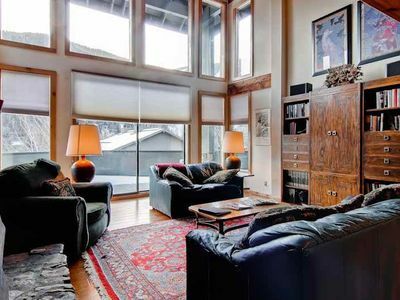 This superb mountain chalet is located just minutes from Sun Valley Resort and Dollar Mountain Ski Area. 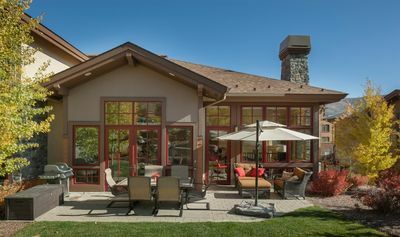 Park of Elkhorn, a 4,000-acre luxury residential community bordering Sawtooth National Forest, the villa enjoys serene privacy within one of Elkhorn's premier subdivisions, within easy reach of the golf club. 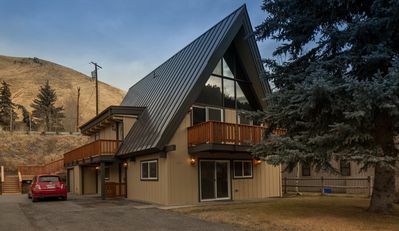 Featuring breathtaking mountain views, fabulous interior living areas, three deluxe bedrooms suites, and an extraordinary outdoor terrace with hot tub, this vacation rental is ideal for families, groups of friends, and wedding guests seeking the perfect balance of seclusion, convenience, and style in Idaho's finest alpine destination. 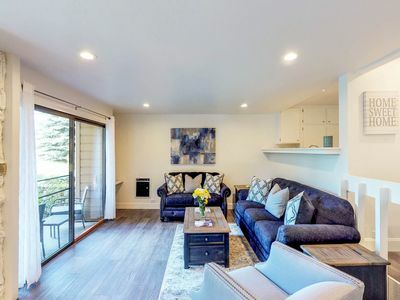 The spacious and luminous interiorwith high, vaulted ceilings and ample windows gazing out on panoramic mountain vistasexudes classic chalet style enhanced by gorgeous original artwork and high-end contemporary amenities. Returning from a day on the mountain, kindle a fire in the spectacular stone hearth and sip a fine wine in the exquisite living room. 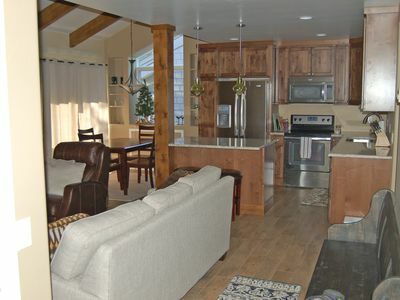 Prepare delectable feasts in the fully equipped kitchen, and gather around the dining table for a mountain-view feast. At night, watch your favorite movies in the media room, which also includes an excellent office space, or cuddle up in the upstairs lounge, with cozy sectional and TV. 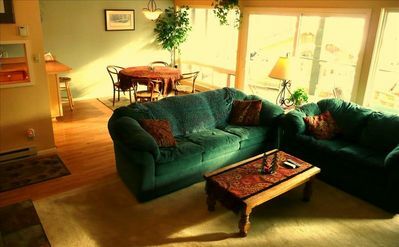 In the morning, enjoy breakfast in the beautiful sunroom with table for four. Perhaps the villa's most extraordinary feature is its outdoor living area. Soothe your body in the wonderful alfresco hot tub at sunset or under the stars. Cook a delicious barbeque for an alfresco meal on the patio, and sip hot cocoa around the fire pit at night. On warm days, relax on sun loungers in the delicious alpine air. The villa includes five superb bedrooms: two with king beds, one with a queen bed, one with a double bed, and one with a twin. All include ensuite bathrooms. The splendid master suite features a king bed, fireplace, and wide doors opening to stunning views. 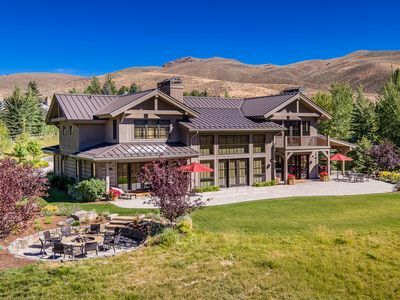 Sagewillow Road at Elkhorn enjoys one of the finest locations in Sun Valley. 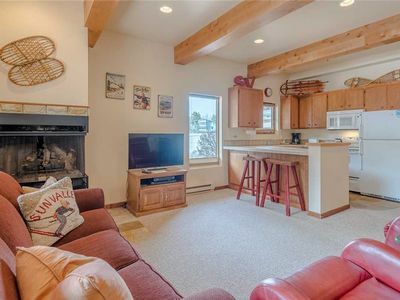 Elkhorn Village Golf Club and Dollar Mountain Ski Area are both about five minutes away, while the base of Sun Valley Resort is about nine minutes from your door. 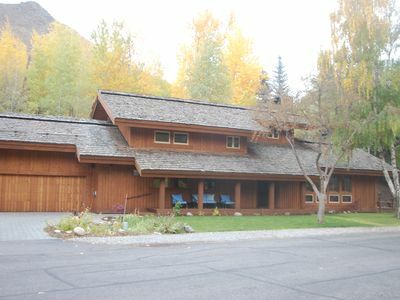 Downtown Ketchum and numerous Sun Valley cultural destinations are within four or five miles. 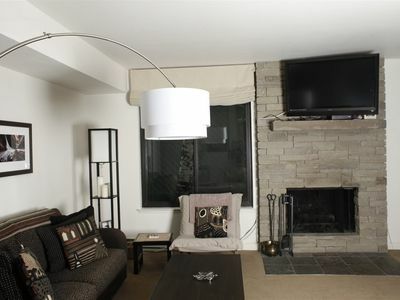 Great 1(plus) bedroom condo. 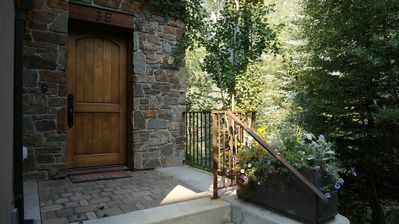 This is the best location in Ketchum! 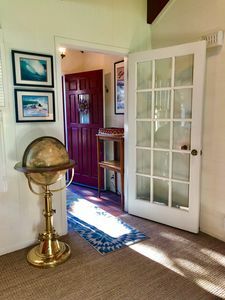 LOVELY PRIVATE HOME IN CHARMING NEIGHBORHOOD..SO MUCH NICER THAN A CONDO! 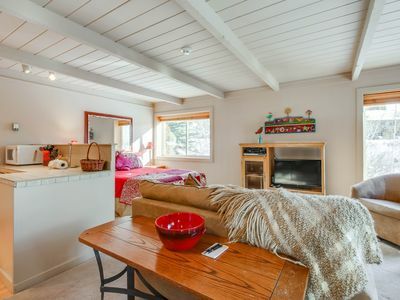 Just Remodeled A-frame House In Warm Springs With An Italian Touch. 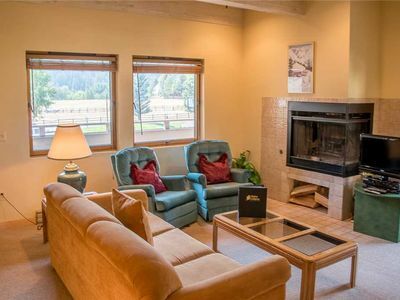 Recently updated, close to skiing, w/ shared pools and hot tubs! 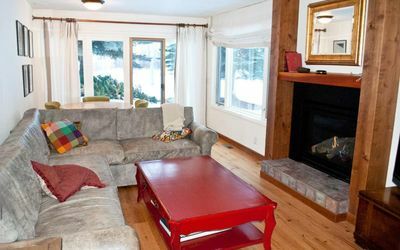 Dollar Mtn Ski-in/Ski-out w/ shared pool/hot tub, Updated in June 2018! 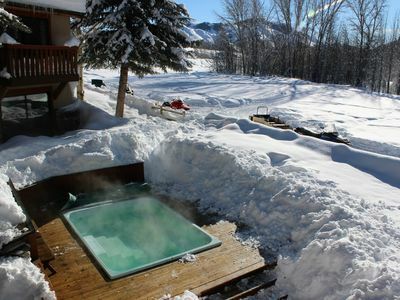 Best In Town Location 3 Bedroom Sleeps 6, 2 Hot Tubs! !